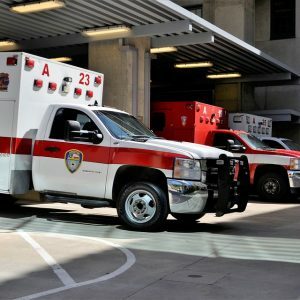 Florence, TX (March 26, 2019) – The Williamson County Sheriff’s Office reported a pedestrian accident on the morning of March 26. The incident occurred on State Highway 195, near Ronald Reagan Boulevard, in Williamson County. According to the Sheriff’s office, a pedestrian was struck by a car and ended up sustaining fatal injuries. The pedestrian was pronounced dead at the scene. The Department of Public Safety is investigating the cause of the incident. Our sincere condolences go out to the family of the victim who lost their life in this very tragic incident. Our thoughts are with them at this time. Over 600 pedestrians suffer fatal injuries in accidents each year across Texas. The fact that victims are often more vulnerable to vehicles means they are more at risk of sustaining fatal injuries. The sad truth is that pedestrians often do not stand a chance against speeding motor vehicles weighing thousands of pounds. In instances where victims lose their lives in fatal pedestrian accidents, they can contact a Texas pedestrian accident attorney from the Benton Law Firm. Our skilled Texas wrongful death attorneys help victims and their families get the justice and compensation they deserve. For years, reputable Texas accident injury attorneys from the Benton Law Firm have helped victims and surviving family members collect millions for their cases. If your loved one lost their life due to the reckless and negligent acts of another person, contact our law firm at (214) 219-4878 to see what legal options are available for your case.